I wrote recently about how catastrophic a failure to raise the debt ceiling would be. 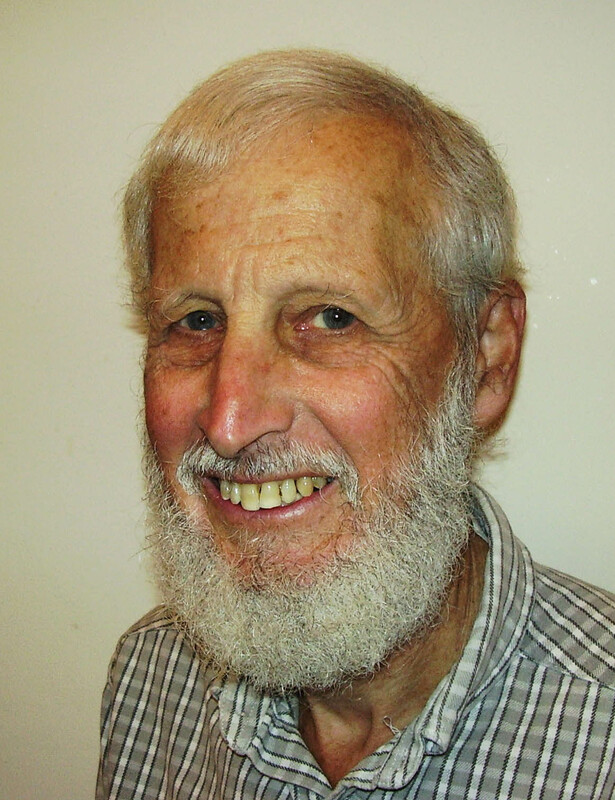 Now there is danger of an outcome nearly as bad; indeed, in a long view, probably worse. That would be to raise the debt ceiling by some gimmicky fudge without a big agreement on future budget cuts. Or phony promises of cuts, like those in Obamacare enabling Democrats to falsely claim it would save money. Until now, the Republicans seemed to be playing chicken, willing to crash the economy if the Democrats didn’t swerve first and give up on tax increases. Now it seems the Republicans are the chickens, suddenly terrified they’ll be blamed for the crash. To avoid this, while also refusing to budge on taxes, they seem willing to settle for nothing at all. As part of the answer, Republicans are pushing a “balanced budget amendment.” Oh, please. What a crock of merde. “Balanced budget amendment” is one of those chimaeras that lips endlessly flap about (“high speed rail” is another”) but don’t mean squat in practical reality. Such an amendment will never get into the constitution. And if it did, it would be meaningless anyway, because there’d be ways around it, just like with Gramm-Rudman and other previous attempts by Congress to don a spending straitjacket. And if the amendment were an ironclad straitjacket, that would actually be crazy stupid. Look at California, tangled in a skein of such budgetary straitjackets imposed by past referenda. What is so disheartening is that this debt ceiling situation is a once-in-a-lifetime opportunity to detour the huge fiscal train-wreck looming down the tracks. We’ve got to stop piling up debt at the rate of over a trillion dollars a year. If the train cannot be stopped – okay, at least slowed – here, it’s hard to see how it ever can be. Republicans were supposed to come to Washington to do just that. 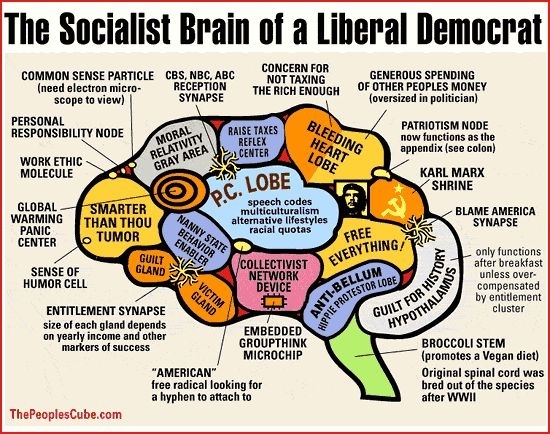 And they’ve got the Democrats by the balls. But it looks like they’re muffing it. They’ve been offered a deal with trillions in spending cuts, but won’t take “yes” for an answer. What chickenshits. Trouble is, a big group of Tea Party Republicans in the House say they won’t vote to raise the debt ceiling under any circumstances. Not only is that dumb and irresponsible, it is also political self-emasculation. Because it means a debt ceiling bill can’t pass without Democratic votes. So the Republicans will need Democratic votes in order to escape getting blamed for a blow-up. And that means it’s actually the Democrats who have the Republicans by the balls. 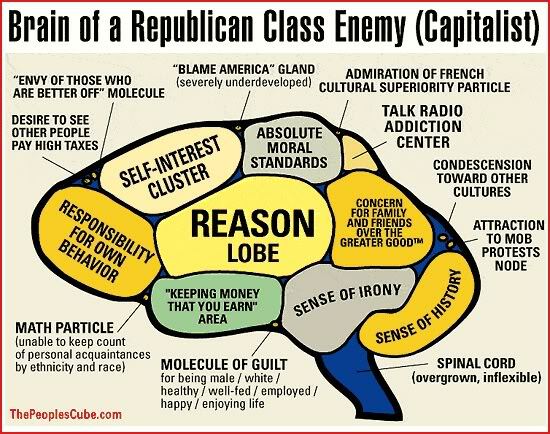 I also suspect many of these Republicans are really much like the population at large. They want smaller government, lower deficits, lower spending. But name a program – any program (except foreign aid of course) – and, Heavens no, don’t cut that! We’re becoming a nation of spoiled brats who are all in favor of austerity imposed on someone else. 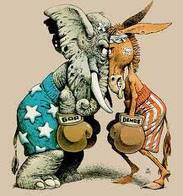 Lest you think this post is just partisan hatchetry, I actually still consider myself a Republican. And I do assign a lot of blame to President Obama too. His leadership has been pathetic, starting with his refusal to endorse, even generally, in concept, the eminently sensible recommendations of his own Simpson-Bowles Commission. Obama seems like he’d be perfectly happy if this whole thing would just go away and the government could just keep on merrily shoving money out the door – laissez les bons temps rouler. Obama doesn’t even seem to grasp the concept of leadership. Rather, he seems to see himself as the national mediator-in-chief – the United States Community Organizer. World affairs, to me, is like a soap opera. A real drama, unfolding in real time, with numerous complex sub-plots. One has been Thailand. 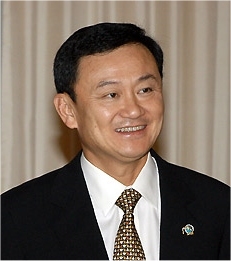 Comes Thaksin Shinawatra, a telecoms billionaire, elected prime minister in 2001. No perfect angel, he. But he made promises to Thailand’s poor that he kept, genuinely trying to improve their lot, as well as the nation’s. (Unlike that sonofabitch Chavez.) Yes, Thaksin’s policies were also politically canny – he developed a wide base of loyal support, and won an unprecedently large victory in 2005 elections. But the elites and old guard didn’t like Thaksin’s populism, and the army ousted him in a 2006 coup. Thaksin was driven into exile, had some of his billions confiscated in a (probably) trumped up corruption prosecution; and when Thaksinites won a subsequent election, the courts were suborned to sideline them and to hand power to a contrived anti-Thaksin parliamentary coalition (headed by Abhisit Vejjajiva). Since 2006, too, Thailand has been wracked by political violence between Thaksinite “red shirts” and the yellow-shirted, palace-instigated “People’s Alliance for [Against] Democracy.” Many were killed in a virtual civil war in Bangkok. As the whole sorry tale unfolded, Thai democracy looked battered and failing. Finally, on July 3, another election. 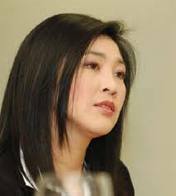 Thaksin’s former political parties having been sequentially banned, a new one (Peu Thai) was entered, with a new standard-bearer, Yingluck Shinawatra, 44, Thaksin’s sister, new to politics. Given the country’s polarization, the extremism of the anti-Thaksin side, and a multiplicity of parties, a muddled indecisive outcome might have been expected. That would have been very bad. But, inexperienced or not, Yingluck mounted a brilliantly effective campaign, while her opponents proved as skillful in campaigning as they had in managing the country. Sensibly, Yingluck promised to promote national reconciliation, eschew revenge, and no rush to bring Thaksin himself back. Her victory was smashing, producing an outright parliamentary majority. A decisive victory for either side would have been a good thing, drawing a line under Thailand’s poisonous political turmoil. But I was delighted to see the Thais deliver this resounding repudiation of the undemocratic manipulations by the army, the elites, the palace intriguers, and their violent thugs, over the last five years. So crushing was the blow that it’s hard to see how that illegitimate resistance to the people’s choice can be sustained any longer. The yellow shirts encamped in or near the capital seem to have slinked away. I recite this tale because I consider it very good news. In the same week, on July 9, South Sudan at long last celebrated its hard-won independence (and thank you, USA, for that). Progress is never linear, it’s a fitful and difficult process, overcoming human bloody-mindedness, three steps forward and two steps back, but, inch by inch, day by day, year by year, the world is becoming a better place. Okay. Republicans are against higher taxes. We get that. And really, I’m much more on their side than the other. But you can’t threaten to wreck the country if you don’t get your way. At least the Democrats are willing to compromise on spending to make a deal. For the Republicans, again, it’s good to fight for the lowest taxes they can get, I’m with them; but they can’t expect a deal where the Dems do all the giving while the GOP gives nothing. To try to get their way without compromise, the Republicans are holding hostage the vote to raise the national debt ceiling. That is, to allow the government to borrow more money to pay its bills – which it obviously must do so long as spending exceeds tax revenue – which of course it does, by a whopping amount. That the Treasury must continually ask Congress for permission to borrow (to pay for Congress’s spending) might seem a crazy system, especially when it allows legislators (like Barack Obama when he was a Senator) to register irresponsible grandstanding votes against it. And to perpetrate the sort of blackmail in which Republicans are now engaging. They are indeed threatening to wreck the country if they don’t get their way. This isn’t hyperbole. We’re talking about government forced to default on its financial obligations. And the irony, for those who claim to be motivated by concern over future government deficits, is that a default would make that whole problem much much worse. Here’s why. The U.S. government already owes $14+ trillion. That’s what we’ve borrowed to pay for past spending in excess of tax revenues. Government borrows by selling bonds, which are IOUs, paying interest. Those interest payments are a sizeable chunk of the federal budget, at around $200 billion annually, or 5%. When a bond matures, the lender gets repaid, and normally the government re-borrows (“rolls over” the debt) by selling new bonds. For some decades past, all this borrowing has actually been a pretty cheap ride, because interest rates have been quite low by historical standards. (In fact, they fell close to zero in the financial crisis, actually reducing the government’s interest expense.) Interest rates are determined by market forces, and U.S. bond rates have been very low because the market has considered such bonds essentially riskless, with repayment virtually certain. But that could change if, on August 2 or thereabouts, a default occurs. The immediate effects might seem minor, and presumably Washington would scramble fast to fix it. But American politics being shown up as so extremely dysfunctional that this could be allowed to happen at all would shatter financial market confidence. America’s literal credit rating would plummet. And the next time the Treasury needs to roll over some bonds, the interest rate will be higher. And the next, and the next, and the next. Again, today’s $200 billion interest cost reflects interest rates practically at zero. That $200 billion amount could explode. Thus, the government, already in a deep financial hole, will suddenly have dug itself much deeper. And as that realization sinks in, in the financial markets . . .
Of course there would be huge knock-on effects. Interest rates throughout the economy would go up. The dollar’s value would fall, and prices would rise. The dire housing/mortgage situation would worsen. Not good for an economy that was already struggling. You might suppose the Republicans are merely adopting a very tough negotiating posture. But for many of them, it seems they really mean it when they say they’ll never accept any tax increases whatsoever. For them, it’s more like religion than politics. Thus, as columnist David Brooks says, they are bent on refusing a deal that’s really a huge no-brainer – giving an inch on taxes for a foot on spending. Democrats indeed seem ready to swallow gigantic spending cuts if the Republicans will give them a fig leaf concession on taxes. In fact, it wouldn’t even require an actual tax increase – merely removing some tax breaks for special interests that are really spending in disguise. But even this the Republican absolutists bizarrely refuse. If they’re playing chicken, it seems they’re determined to crash rather than swerve. Of course, it’s not only Republicans who are at fault. Some Democrats seem to have a “bring it on” mentality too, thinking they can benefit politically by pinning the blame for catastrophe on the Republicans. That too is grossly irresponsible. Both sides have their political equivalent of suicide bombers. This morning’s news intimates that Speaker Boehner, at least, may be willing to be rational about revenues. A hopeful sign? I previously discussed Tony Blair’s memoir, A Journey. One of the striking things he talks about in the final pages is how screwed up and unhelpful our customary political categorizations have become – right versus left, liberal (or “progressive”) versus conservative. Blair, throughout his career, considered himself entirely “progressive,” yet became a villain to many others who so consider themselves. And one can get so ensnared in an ideology that you forget the values that should underlie that ideology. You take a wrong fork in the road, and you’re inexorably pushed along, part of a herd you can’t break from. Thus, for most of U.S. history, Democrats and progressives understood clearly that trade protectionism was a conspiracy by business interests to rip off consumers and the public. But when labor unions bought into the conspiracy, the Democrats were dragged along. “Progressive”? Blair suggests that the old right/left dichotomy really doesn’t work when it comes to modern policy dilemmas. He proposes a different political taxonomy: open versus closed. Openness to free trade and globalization is on one side; on the other, a hostility to free trade and a wish to close our doors against the rest of the world economy. Likewise some want to close our doors on immigration; others favor openness. The person with the open orientation thinks we can and should be pro-active in improving the rest of the world; the closed side is deeply suspicious. Some are indeed suspicious of everything and want a muscular government to closely supervise human activity. On the right, they want such intervention on “moral” issues; on the left, they clamor for clamping down on business. The open side wants society to be more, well, open, with people left free to pursue their own paths in their own ways – freedom in both the personal sphere and in the economic sphere. As Blair observes, these differences often cut across the conventional political divides, and perhaps it’s rare to find anyone who is completely on one side or the other of the open-vs-closed divide. But, again, that’s partly because core values often get lost in debates on such issues. Yet I detect a basic underlying ideal that I am glad to say I, for one, totally support, on the open side. Blair argues that the open side is not only the right side, morally and policy-wise, on all these types of issues, but it’s politically a winner too. Or, at least, winnable. Being an optimist, I think he’s right, and in the long run openness will prevail. Looking at the big picture of the world, in fact, I see a tidal wave in that direction.